F108 tyres are a great choice for high performing vehicles that need high performance tyres to really get the best results. 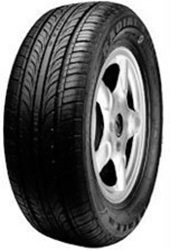 No matter where you are going, or what the conditions may be like, these Rotalla tyres are a fantast choice and allow you to really enjoy your driving. Excellent traction and stability are combined with increased water dispersion and reduced road noise to create a well-balanced tyre that won’t let you down. Choose F108 tyres for the best results.